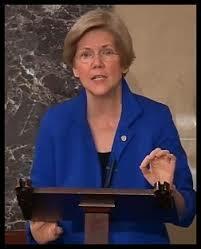 Senator Elizabeth Warren Remarks at the AFR Dodd-Frank Fifth Anniversary Conference. I’m particularly glad to be celebrating the fifth anniversary of the Dodd-Frank Act with Americans for Financial Reform. Without AFR and the incredible work of so many people in this room, there would be no Dodd-Frank and our country would be lurching from one financial crisis to another. Thank you for all you have done.I’m here today to say two cheers for Dodd-Frank. It would be three cheers, but there’s more work to be done. For me, the moral of this two-part story is simple: without basic government regulation, financial markets don’t work. That’s just an empirical fact –clearly observable in 1929 and again in 2008. The point is worth repeating, because for too long, the conventional wisdom has been that you can be for rules, or you can be for markets, but you can’t be for both. That’s just wrong. Rules are not the enemy of markets. Rules are a necessary ingredient for healthy markets, for markets that create competition and innovation. Rolling back the rules or firing the cops can be profoundly anti-market. Dodd-Frank made real progress. Look at the first goal –“no more cheating people.” Dodd-Frank took a powerful step toward honest markets with the establishment of the CFPB. Instead of a grab bag of consumer protection laws scattered among seven different agencies, none of whom had any real interest in enforcing them, Congress created a new agency that had the tools, the expertise, and the responsibility for making sure that consumer financial markets worked fairly. This was real, structural change, and it’s working.Mortgages have gotten clearer and easier to read, and the agency is fighting back against the big banks that have cheated consumers. In fact, the agency just announced that it has returned more than ten billion dollars to consumers who were cheated –in just four years!